We’ve listed a few common heating repair issues below. If you’re experiencing these problems, make sure to contact our team at your earliest possible convenience. If you’re experiencing a problem that isn’t listed here, it’s still a great idea to call our experienced team of technicians for assistance. The Noises You Hear Are Strange: Hearing any noises other than the soft sound of air moving through your home when your heater is running is already a bad sign, but if you can categorize the noises you’re hearing as “strange” then you’ve got a pretty big problem on your hands. Some common troubleshooting sounds include buzzing, rattling, humming, groaning, or banging. Don’t ignore the sounds your furnace makes, it’s the most straightforward sign of a problem in your heating system. Your Air Flow is Too Low: Does it feel like your heater struggles to run? This is such a common problem for homeowners to experience when the later half of winter rolls around. Your heater has worked extremely hard to keep your home temperate this winter and it’s common for blockages to build up within your ductwork. When blockages occur, it restricts the airflow within your ductwork and makes it much tougher for your furnace to do its job. You’re Experiencing Short Cycling: “Short cycling” is a term we use in the HVAC industry to describe an incomplete cycle of air conditioning or heating. Under these circumstances, it would describe your heater starting, running for a noticeably short amount of time, stopping, and then starting up again to repeat the process shortly after. This process is hard on your HVAC system and even harder on your heating bill. If you’re experiencing this, contact a professional immediately. You Can’t Get Warm: This is a problem that flies under the radar more often than you’d think, especially in late winter conditions like this. Air that isn’t as warm as you want it to be is a problem, it means that your furnace struggles to keep your home comfortable. 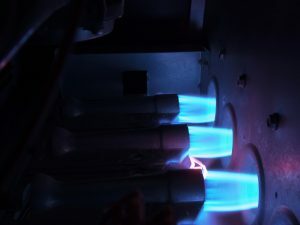 This is your heater’s main job if it’s struggling to make sure you contact our professional heating technicians today. Don’t hesitate to contact our team for heating repair services. We’re the leading name in HVAC in Vancouver for a reason! Contact Area Heating & Cooling, Inc. today to schedule an appointment with our amazing team.